The world has gone crazy over the 10-year challenge, where people worldwide are posting images of themselves on social media from today and 10 years back, comparing the difference over the last decade, greekcitytimes.com reports. 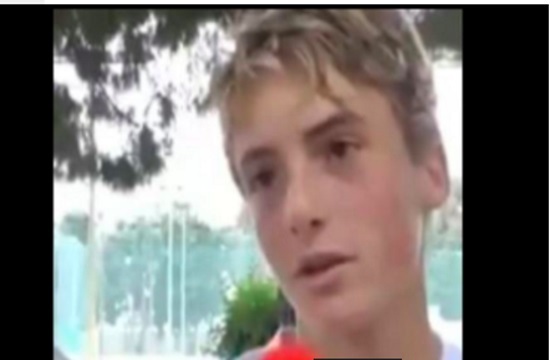 And now a video has been released by the Mouratoglou Tennis Academy in Greece, showing a 10-year-old Stefanos Tsitsipas saying that Roger Federer is his idol. The 20-year-old tennis star from Greece beat his idol Federer yesterday at the Australian Open and qualified for the Quarterfinals. The Greek champion admitted that he was “the happiest man in the world right now” after the match, adding “I managed to finish the game and defeat my idol. My idol was my rival,” Tsitsipas said at a press conference following his triumph over Federer.